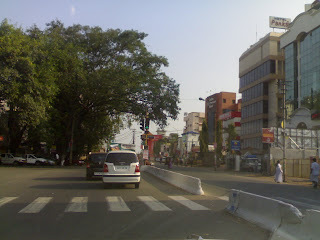 I still remember the first time I visited the main shopping street of Trivandrum, the MG Road. I liked the avenue for many many reasons...For me, a 5 year old boyyie at that time, going to MG Road and East Fort meant going to 'Trivandrum' ; because the glitz and glamour associated with the city in my mind, the Secretariat, toy and sweet shops, the big bus stand, East Fort, theatres and hotels...all existed on this street. Also this was the route the double-decker bus took. I was so fascinated by the jumbo-bus that my dad used to take me in it from East Fort to Pattom(the double decker serviced the Medical College route in the 80s) and then retrace back to our home at YMR, Nanthencode. Not to mention the glitzy lighting of the buildings, the crowd and the shopping fest during Onam! 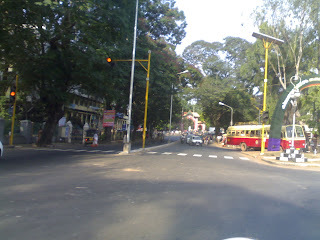 So it was the MG Road which conditioned my mind to love city life...and Trivandrum. And as years went by I learned that all major cities had their main shopping avenue named after the Father of the nation. So MG Road essentially was the showcase of any big city. Unfortunately in Trivandrum, the advantages have turned detrimental when it came to the development of MG Road. The location of the seat of power, the Secretariat, meant that this road would be chronically infested with all kinds of agitations and gimmicks against the Govt. There is seldom a day without strikes, marches, rallies and dharnas, clogging up the street. This would also turn into a battlefield on a wrong day, and the business establishments along the avenue would pay the price. MG Road was also a testimonial to the cruel treatment meted out to the capital city by various Governments. Almost 50 years after the formation of the state, this arterial avenue of the State HQ contended with 2 lane carriageway for most of its length(except for the Overbridge- EastFort stretch). The picture becomes clearer when you learn that it didn't even have a decent footpath for the shoppers. And about the parking space, the less said the better. a hot spot and many business establishments focused on this avenue to enhance their potentials. All major electronics and retail shops have opted for the Pattom road, and the Jewellery showrooms are following suit. All the same, it is good for Trivandrum as a growing city, but doesn't the arterial road in the name of Mahatma Gandhi deserve better treatment? Well, that's exactly what is happening now. Better late than never, the MG Road is now undergoing a radical cosmetic surgery 'threatening' to make it one of the premium stretches of land in the state. 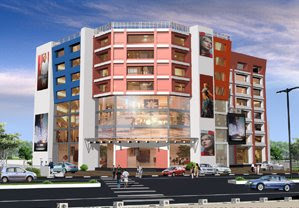 Shopping will be turned into a pleasure pretty soon in Trivandrum after the redevelopment works are over along this arterial road. The 3.5 km long MG Road from LMS to Attakulangara is revamped completely with all the amenities of a modern commercial street. It will have a 6-lane carriageway, 2m wide footpaths on either side, bus bays, central median with streetlamps, cable ducts and drains and intelligent traffic management technologies. The underpass at Martyr's Column Jn and a flyover at Powerhouse Road Jn are constituents of the inner ring road, which will intersect MG Road at the two ends. Moreover this 4 lane road would make up a parallel for the MG Road, enhancing the traffic entry and exit. to take shopping experience to the next level. Homegrown establishments like Naaz, Premier and Kulatunkal are in the process of shifting to their swanky new buildings. Muthoot Group is demolishing their cinema halls just off the MG Road(Kripa & Dhanya/Ramya) for Multiplexes. Developers who have shied away from MG Road are now vying for a chunk of land. New hotels and commercial complexes will soon be propping up all along the stretch. So 2-3 years from now, Trivandrum would own a business avenue it would would be proud of! But not without a few bits & pieces that require immediate attention. The chaotic political exhibitions in front of the Secretariat continues to be a pain in the a**. Common man and businesses will continue to suffer if this menace isn't chained promptly. These gimmicks make a laugh out of the numerous court orders and restrictions against demonstrations on MG Road. Parking certainly has the potential to be a teething problem along this avenue. At present only 4 lane traffic is possible on the 6-laned Overbridge-East Fort stretch because one lane on either side is gobbled up for parking. 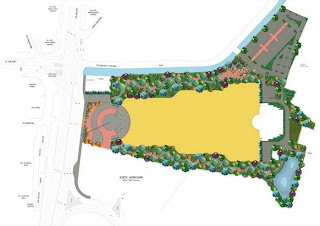 New commercial complexes should not be permitted without ample parking space. Parking plazas could be built making use of the Govt properties inside Saphalyam, Ayurveda College and Attakulangara, instead of encroaching into prime commercial land. The feeder roads to MG Road like Press Road, Dhanya-Ramya Theater Road, Thakarapparambu Road et al should be expanded to accommodate parking space. Moreover the authorities have shown the sense to incorporate parking lots in the redesigned Gandhi Park and Putharikkandam Ground. The relocation of KSRTC Bus Depot in East Fort to the proposed Integrated City Bus Terminal in Attakulangara Bypass Road would free up more prime space for utilization. It wouldn't be a bad idea to extend the MG Road to Manacaud, for another 1 km. To be honest it was a mystery to me why they decided to terminate the 6 lane at Attakulangara, for Manacaud Road is a virtual continuation of the MG Road. The Attakulangara Sub-Jail stands as another parasitic form of matter, locking up property worth crores to house goons. Trivandrum is growing, faster...bigger... and taller...A showcase commercial street is a must for the aspiring business town and MG road must be well adapted to meet the challenges. 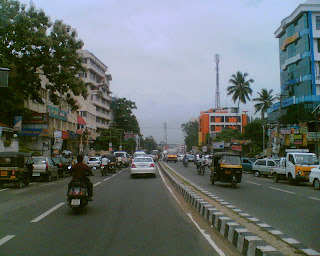 For now things appear bright, and we the citizens of Trivandrum wish to see nothing less than a fascinating boulevard!